Hey! If you love flowers, gardens, landscaping and nature than you might not want to miss this exhibition. 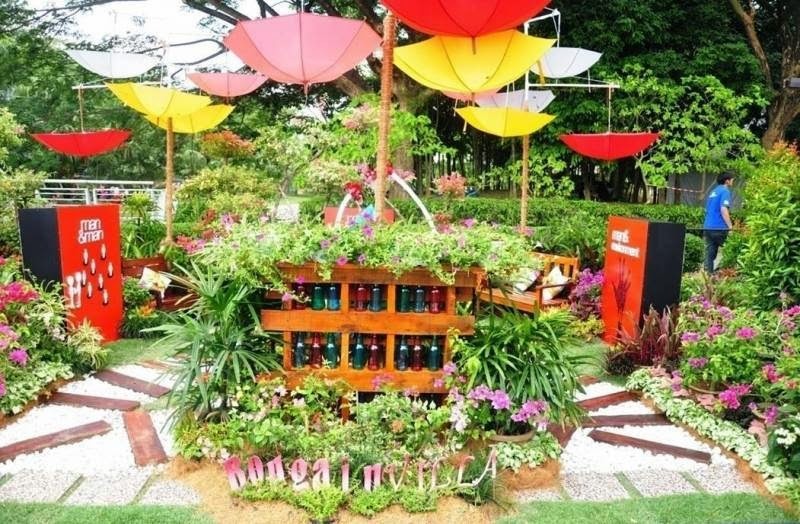 The yearly much awaited Putrajaya Flowers and Gardens Festival is coming this June with more exciting and vibrant colours and varieties of flora beyond your imagination. 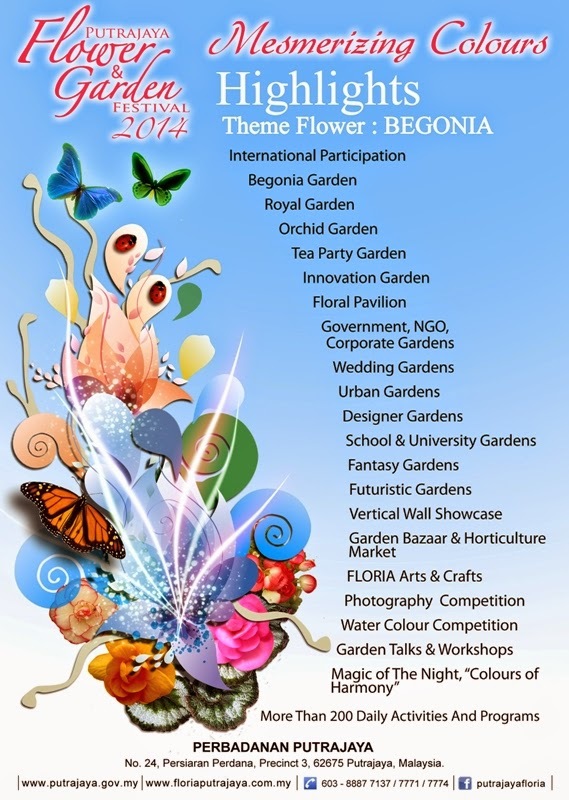 FLORIA 2014, themed ‘Mesmerizing Colours’ will showcase Begonias of various species that are native to moist subtropical and tropical climates in specially designed gardens and exhibits from 14th till 22nd June 2014 at Promenade Precint 4, Putrajaya. 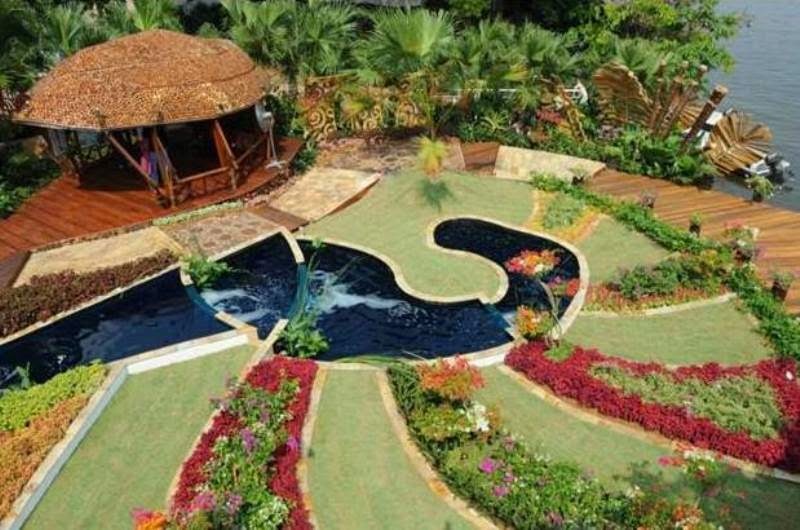 FLORIA 2014 is a platform for local and international associations, government bodies, private sector landscape contractors, corporations, NGO, school and universities to showcase their garden designs. There will be various themes and prizes will be awarded for the best gardens. They will exhibit indoor garden displays, outdoor garden displays and indoor and outdoor garden displays besides giving visitors an insight into the creativity and expertise of local and international landscape designers via more than 80 outdoor garden displays by government agencies, corporate bodies, private sector, associations, growers, universities as well as secondary and primary schools. 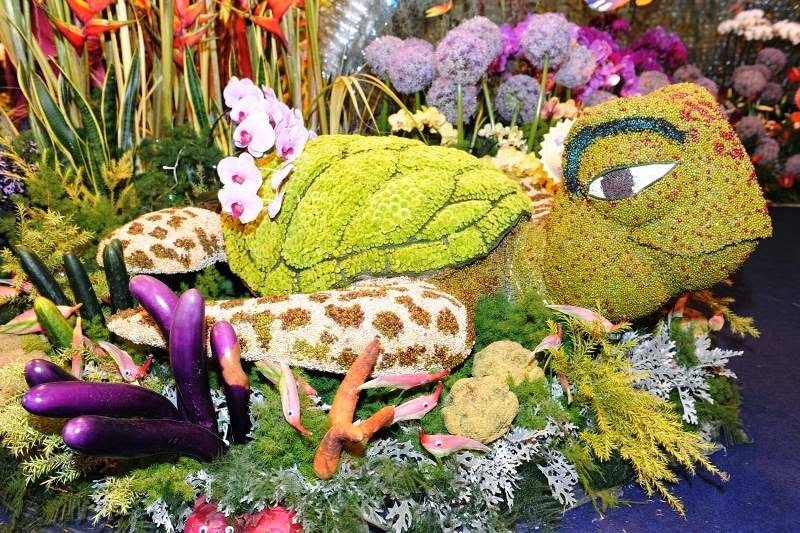 This is the 7th year the international flower and garden show is being hosted by Perbadanan Putrajaya (PPj). There will be more than 35 international participants featuring landscape architects and designers from Australia, China, Japan, Taiwan, Korea, Hong Kong, United States of America, United Kingdom, Singapore, Indonesia, Thailand and New Zealand, among others are expected at FLORIA 2014. This year theme flower is Bergonias. Every year, the Grand Flower Bed is the focal point for the festival. Theme flowers and an assortment of tropical blooms will be on display to form a colourful gigantic carpet in line with the festival theme. Besides, a temperature controlled marquee that highlights cut flowers in various assortments and colours, the Floral Pavilion is a magnet for drawing the crowds. The displays will be based on different themes and there will be participation from both local and international florists and landscape architects. 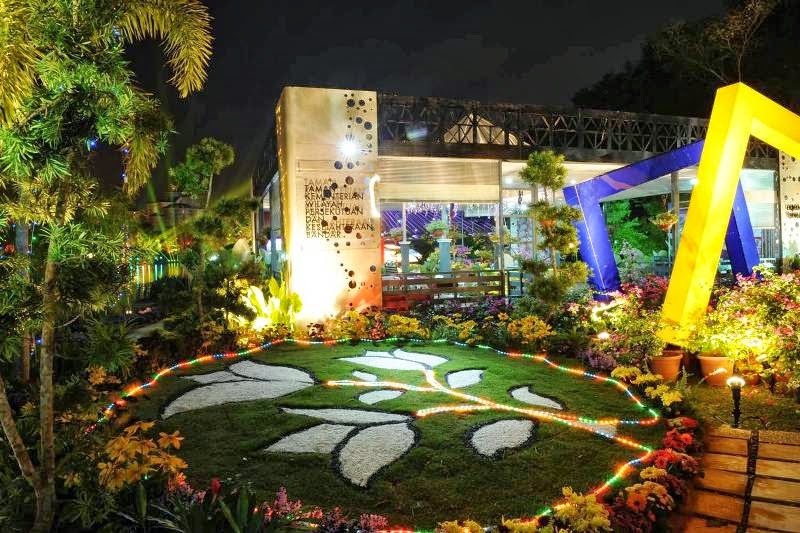 The highlight of FLORIA 2014 are the Begonia Garden, Royal Garden, Orchid Garden, Tea Party Garden, Innovation Garden, Wedding Gardens, Indoor Pavilion (Floral Pavilion), Urban Gardens, Designer Gardens, Fantasy Gardens, Futuristic Gardens, NGO & Government Gardens, Corporate Gardens, School Gardens and Universities Gardens. Other attractions, activities and competition includes Garden Bazaar, Horticultural Market (Hort Mart) that sells everything gardener needs, from flowering plants to trees, garden furniture, garden equipment, biotech products and landscaping services. 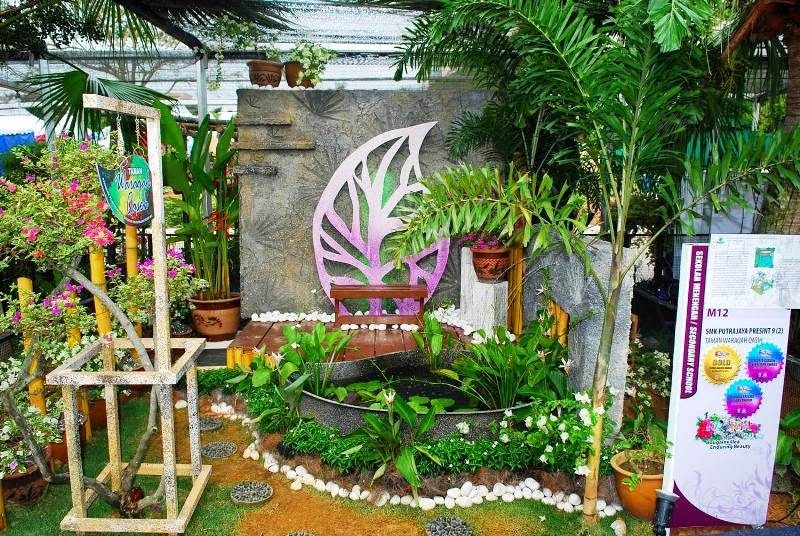 Vertical Wall Showcase, FLORIA Arts & Crafts, Garden Talks & Workshops, Special Gardens Showcase, University and School Floral Art Competition, Photography Competition and Water Colour Competition. 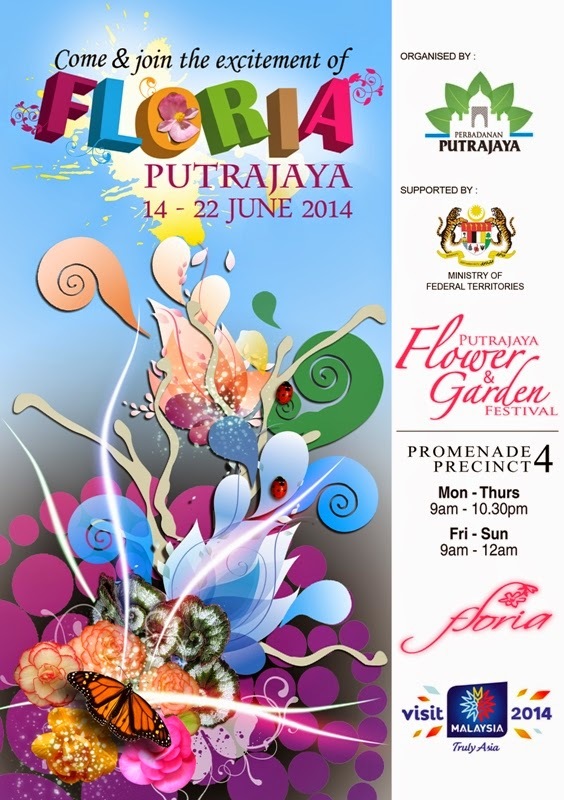 More than 200 daily activities are held throughout the 9 day FLORIA Putrajaya 2014. Explore the uniqueness and beauty of the flora on display in attractively designed landscaped gardens , coupled with sparkling lights at night, the Magic of the Night Colour and Harmony. The colours really mesmerise me! thanks for the infor i might want to go. I will transit one day in Putrajaya to visit it, but I don't know where the exact location of that event. Can you upload detail of the map or floorplan Floria 2014? Thanks for your info. can i know how much the entrance fees for saturday and sunday ? Finally, I had visited that event. Pretty much festive flower show displayed... I'm very enjoy it. Every morning after you get out of the house the primary factor that you simply see is your garden and if this place is sweet, then your whole day is gorgeous.